Note: Taxes and processing fees are not included. Price Includes 2 Drink Tickets. 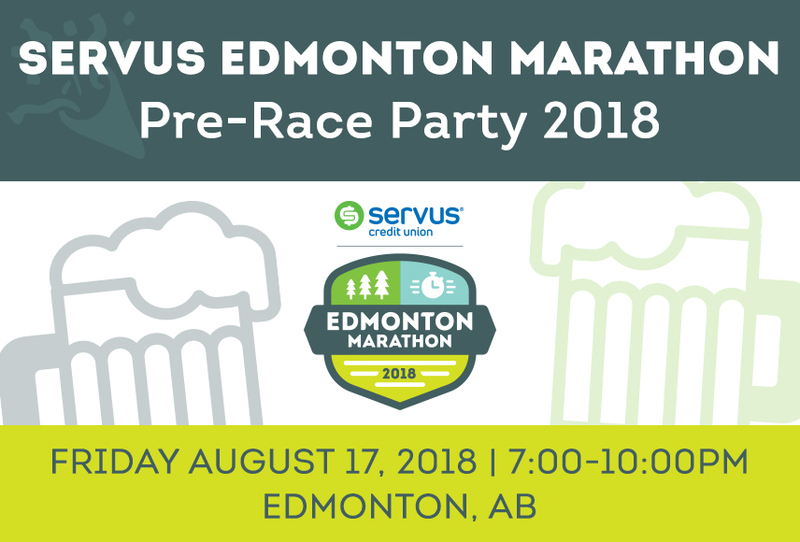 Servus Edmonton Marathon Pre-Race Party. Present your registration confirmation for your 2 Drink Tickets.